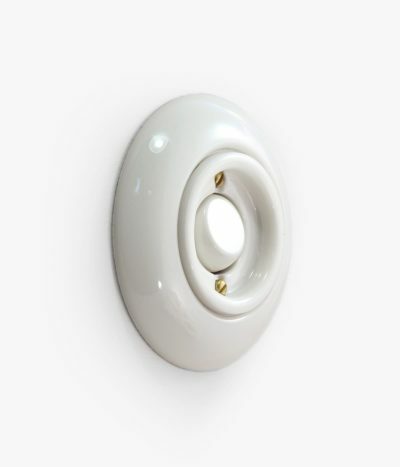 A modern LED dimmer in the style of Europe in the 1910s and 20s, made from that much-loved, classic material of the era: Bakelite. 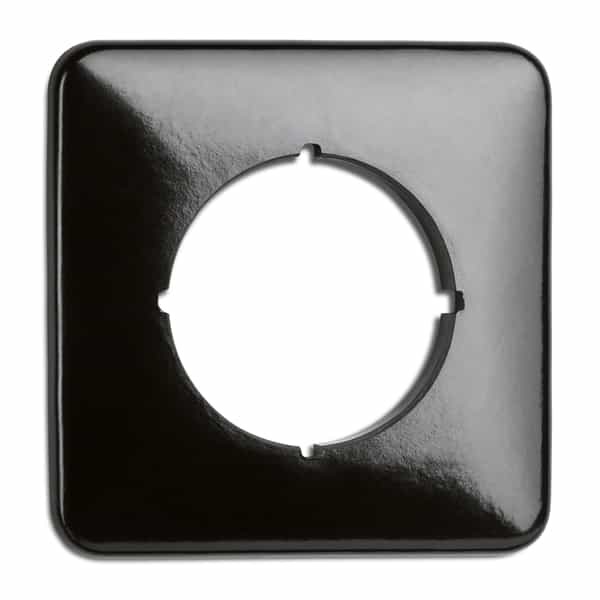 This design features a square backplate, which makes it easier to fit into standard British back boxes. 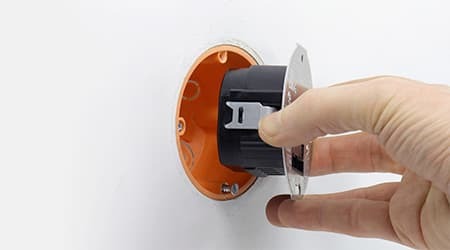 For combining these dimmers to create multiples (3-gang, 4-gang etc), you can use modular backplates that join at the ends. Please contact us for more information. NB: these multiples will only fit onto European back boxes, not British rectangular double boxes. The modular nature of these dimmers also mean that you can also mix and match finishes! 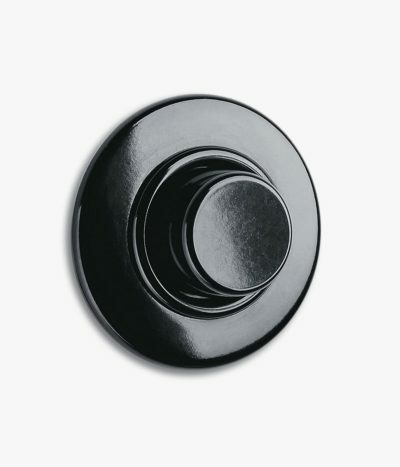 Please get in touch if you would like to combine a Bakelite frame with a contrasting Duroplast handle, for example. 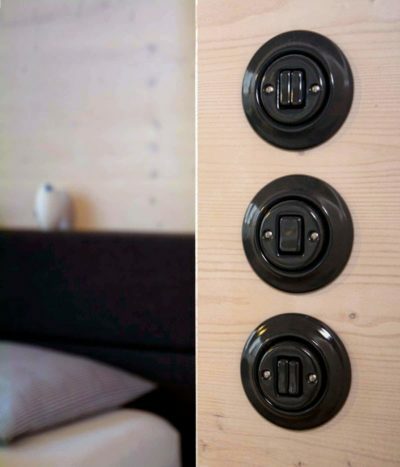 Apart from switches, THPG offer a selection of wiring products and functions that can be combined with these frames, such as audio speaker inputs, TV/SAT sockets and network sockets. Contact us for information on other options if you can’t find what you’re looking for. 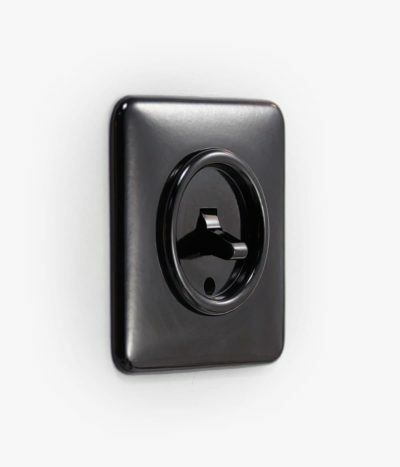 Unfortunately this style doesn't have UK socket options yet. Available to order, ready for delivery in approximately 10 days. 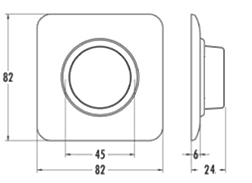 Before ordering, make sure you have checked the “Dimensions” section below to see if this product is the right size and shape for your installation. Please be aware that we don’t accept returns of this product if you find that the necessary installation/decorating work is too extensive. 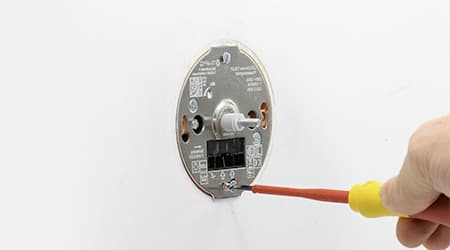 We kindly ask that you and your electrician make sure that they are aware of the back box size and shape required for this product. 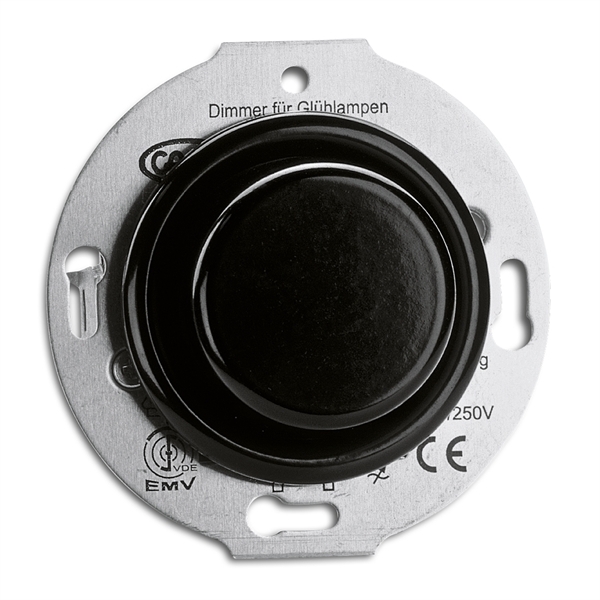 This dimmer set consists of an insert (including rotary knob), and a round frame. 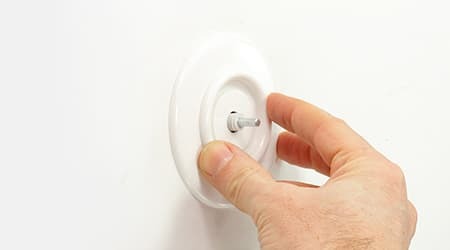 What does an electrician call this? 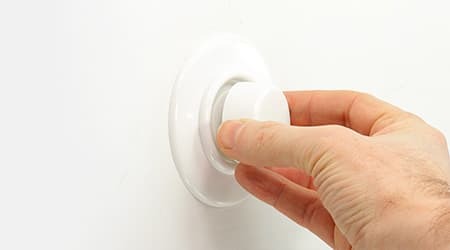 Where is this used in the home? A 1-gang 2-way switch is commonly used for controlling a single light source from one or two places. A 1-gang intermediate is used as the middle switch of three, controlling a single light source (for example in a hallway). 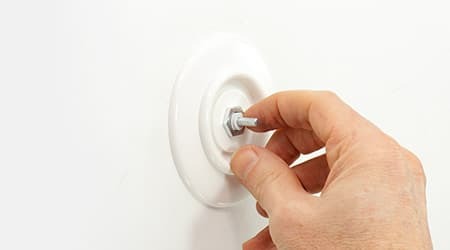 THPG dimmer switches are easy to install, but remember, the round backplate versions don’t fit onto standard British back boxes! Just follow the step-by-step pictures below or download the PDF with full instructions. 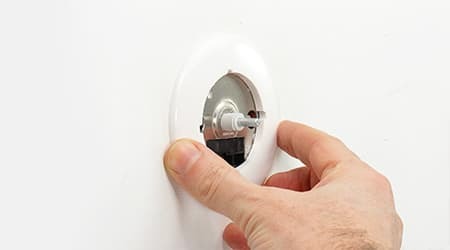 Please refer to our Installation section for more installation advice, manuals and helpful videos. Does this cover a standard british back box? 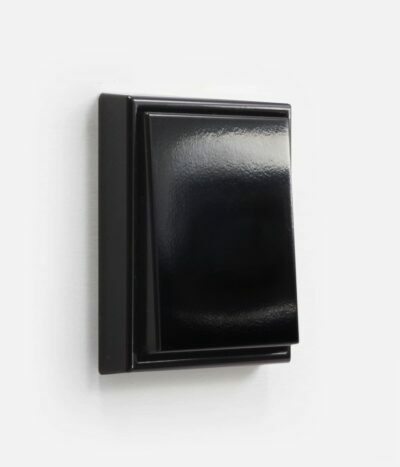 This product covers a standard knockout box, but it doesn't cover the flanges of standard drywall boxes. 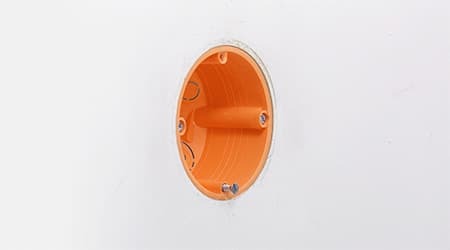 We recommend using "flat plate" drywall boxes or European round boxes. How deep does the back box need to be? 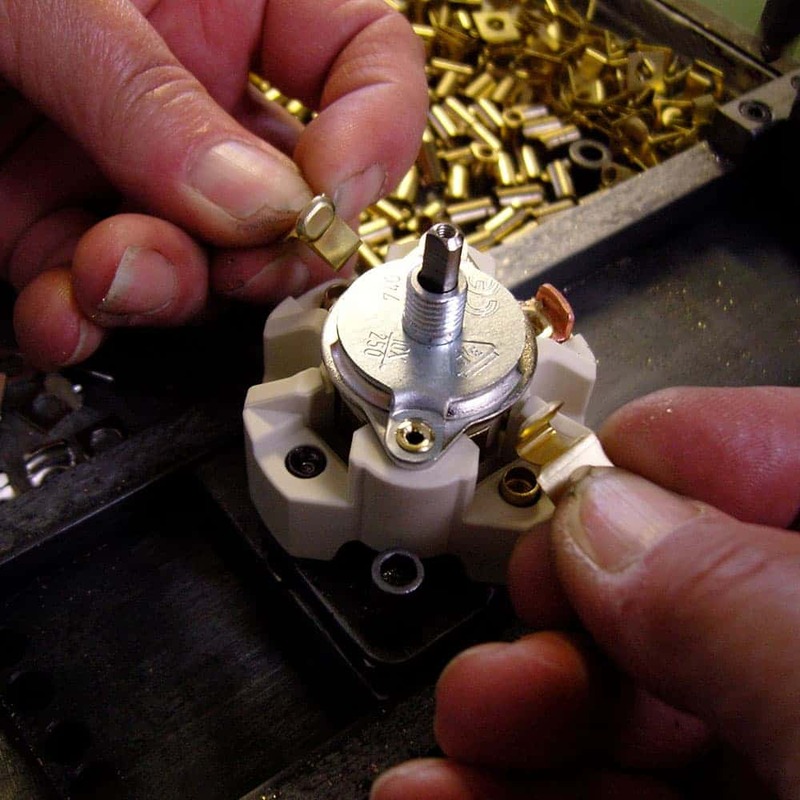 This insert is quite deep, it needs at least 45mm. Check the available options below. Drawing on the popular switches of the early 20th Century, THPG Bakelite switches are designed to recreate a vintage look with a clean, sleek finish. 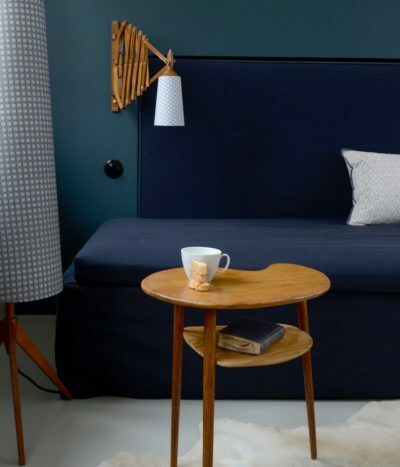 They are faithful replicas – in fact made using original machinery and processes – but they don’t come across too old-fashioned to be a charming focal point in a modern interior either. Whether in the round or square backplate shapes, the elegance of a by-gone era shines through in these pieces. 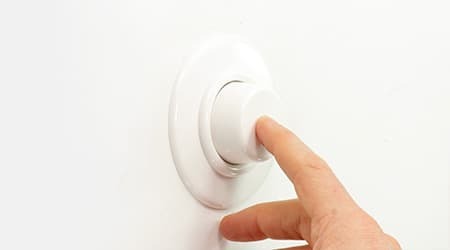 It’s a dimmer switch that will be talked about in your house. Available in a striking monochrome palette, the THPG Bakelite and Duroplast designs come in round or square frames. 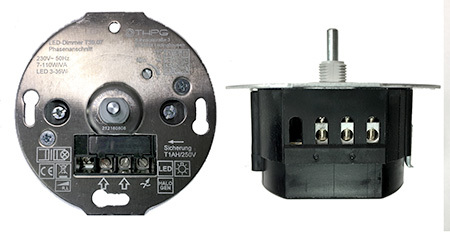 Central toggles and rotaries provide a pleasing focal point, drawing the eye into the centre of the switch. 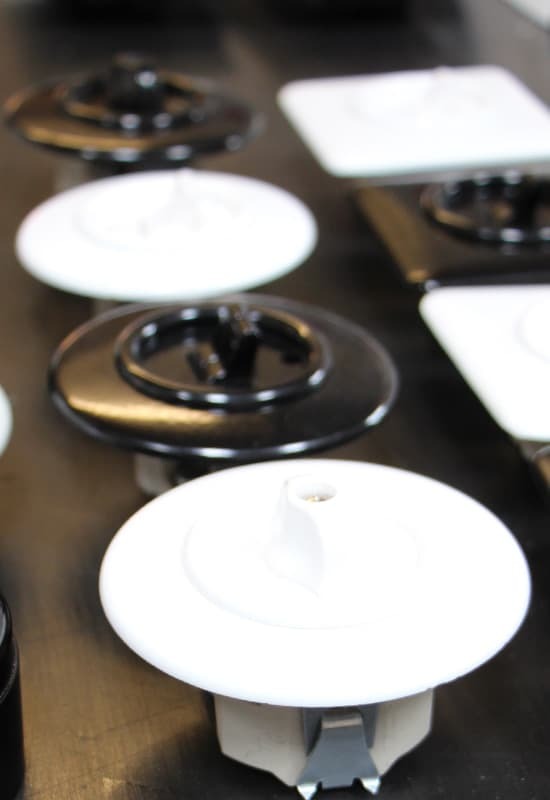 The toggles can be ordered in single or double versions but even if you require a "double" rotary, get in touch - there are options! The round frames in this collection work brilliantly with our Porcelain Button and Porcelain Rotary ranges (also by THPG), allowing you to create interest with different textures and materials whilst retaining a unified shape. Square frames make a bolder statement and also have the advantage of being able to be installed into standard UK back boxes. 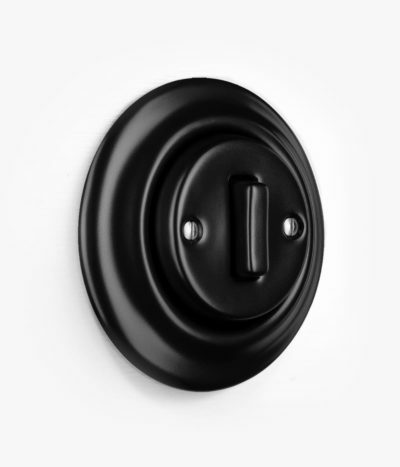 Bakelite has a unique look and is loved for its semi-glossy, silky finish and a tactile surface that is hard to resist. 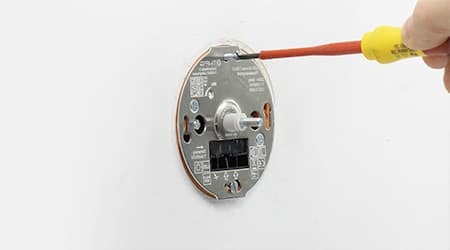 It feels “warmer” than modern plastics and this quality is used to great effect in the soft and friendly shapes of the THPG switches. The electronic dimmer insert in this product is a high-tech unit, which can control any modern light source without flickering or unpleasant noises. It should work “out of the box”, but it can also be configured by your installer if necessary. 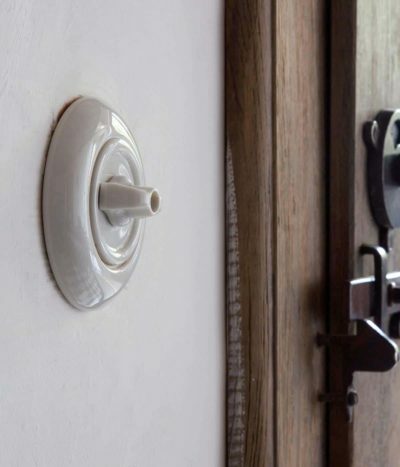 Working in partnership with manufacturers in Westphalia, THPG have restored original moulds and reintroduced traditional specialist tools in order to create a truly authentic, top quality Bakelite light switch. 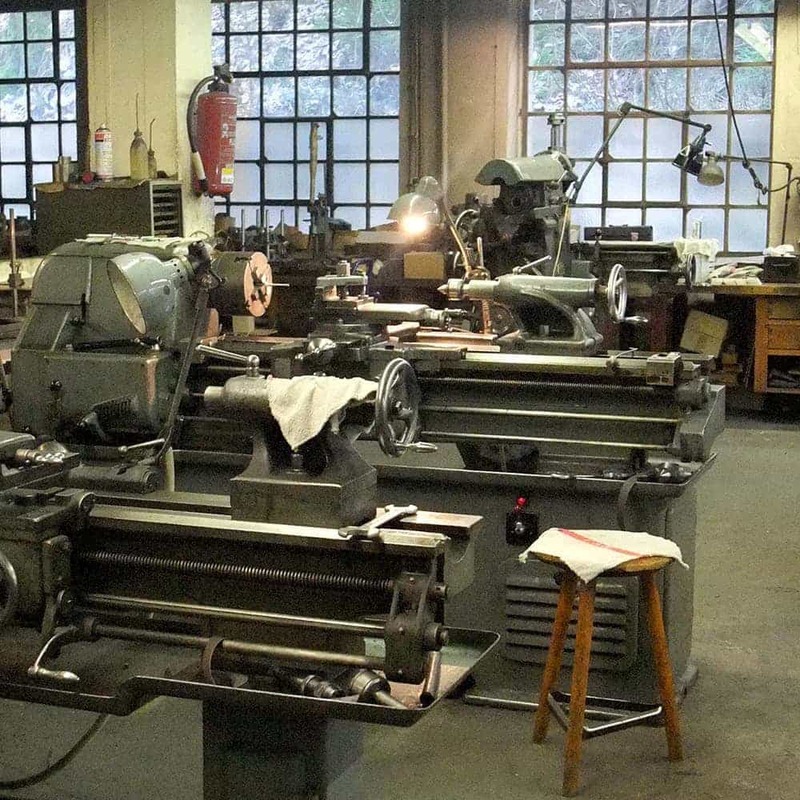 Their highly skilled artisans, chosen for their experience working with this material, hand-finish the mechanical inserts and covers in a factory that has been making products for several hundred years. 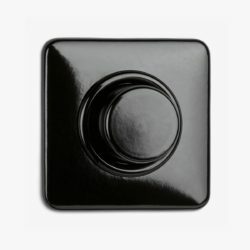 Due to the ‘matrix method’ of moulding, along with the inherent durability of Bakelite, these switches are built to last. 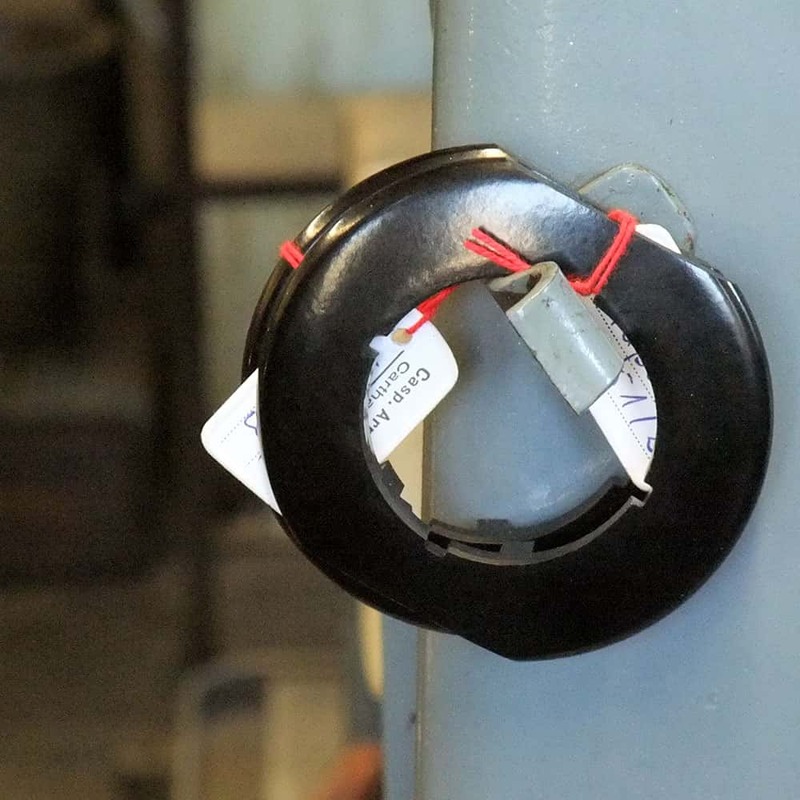 Once the material has been pressed and moulded it will retain its shape forever. 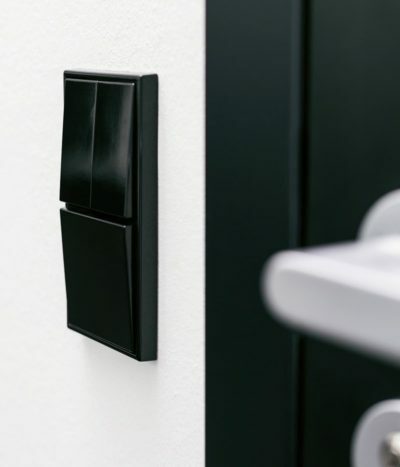 The collection has a superior look and feel, and its internal functions are just as effective and efficient as those we can see and touch. 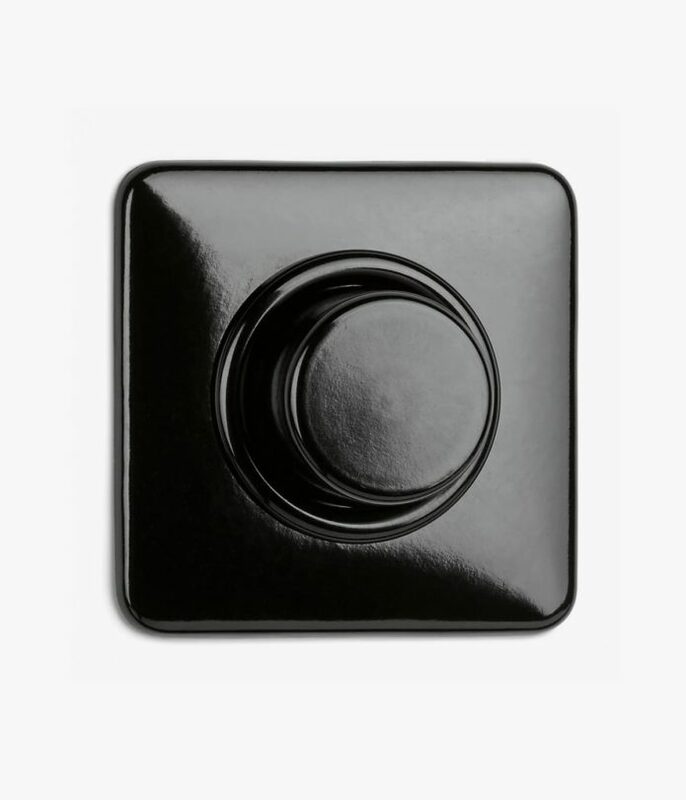 The beauty of our Bakelite switches lies in their utilitarian, old-school allure. 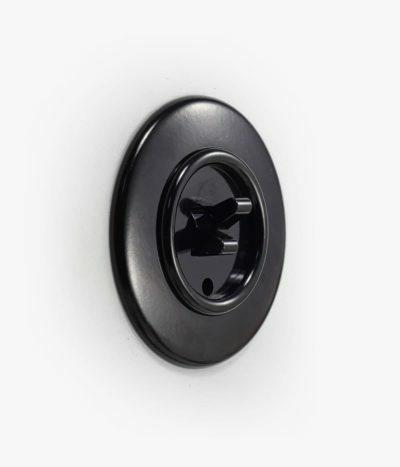 They could be sitting on a modern grey wall, providing a contrast with cocooning dark blue tones, or finishing off a period wall in floral flock or vintage prints, this switch is a versatile classic in its own right. 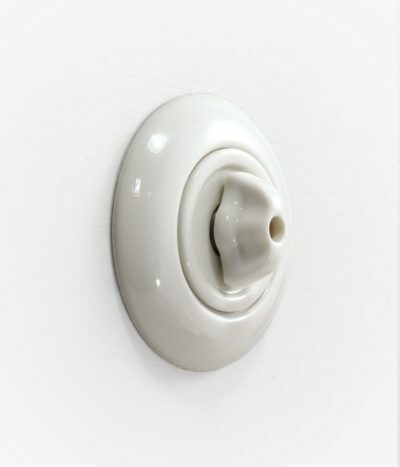 So whether you are planning an authentic restoration of a period property, or looking for a playful addition to your minimalist or mid-century modern interior scheme, this monochrome range of toggles and rotaries adds eye-catching architectural accents. 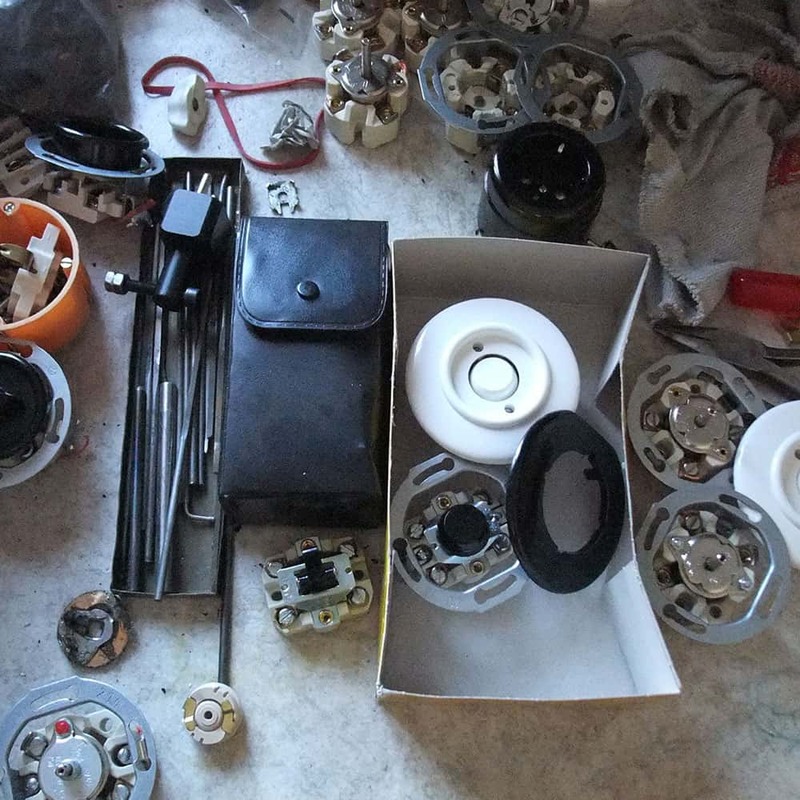 We’re happy to answer any questions about Swtch products (but we’re not allowed to advise on your electrics). Just start a Live Chat with us by clicking the icon in the bottom left corner, or from the “About” menu at the top of the page, or email info@swtch.co.uk. This website uses Google Analytics to help analyse how visitors use this site. Google Analytics uses “cookies”, which are small text files placed on your computer, to collect standard internet log information and visitor behaviour information in an anonymous form. Note the deliberate emphasis of anonymous, as no personally identifiable information is collected about you unless you explicitly submit that information on this website. The anonymous information generated by Google Analytics cookies about your use of this website is transmitted to Google – not us. This information is processed to compile statistical reports on website activity for this site only. We use these reports to evaluate aggregate visitor usage so that we can optimise the content, and its marketing, to better meet your needs. In summary, your anonymity is safe. That is our commitment to you as a valued visitor and customer. But of oucrse you have a choice – use the slider below to enable or disable Google Analytics tracking while you are on teh Swtch website.